The main goal when using tracking links is to find out your best and worst traffic sources, so you can allocate your advertising budget where it matters the most. To gather this information, source data must be appended to your tracking links. In this tutorial, we will see how ClickerVolt allows you to do this as simply as possible. 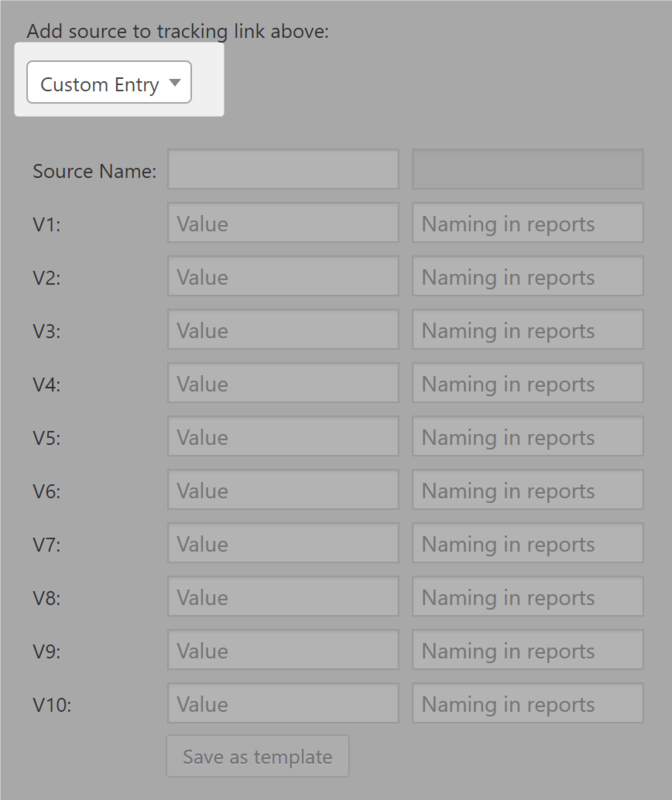 That select box allows you to select an existing source template, or to create a new one. When adding source data to your tracking links, only one field is mandatory: the source name. The source variables V1 to V10 are all optional. After a dot (test-link1.Solo-Ads), when you are using the Pretty URL mode. 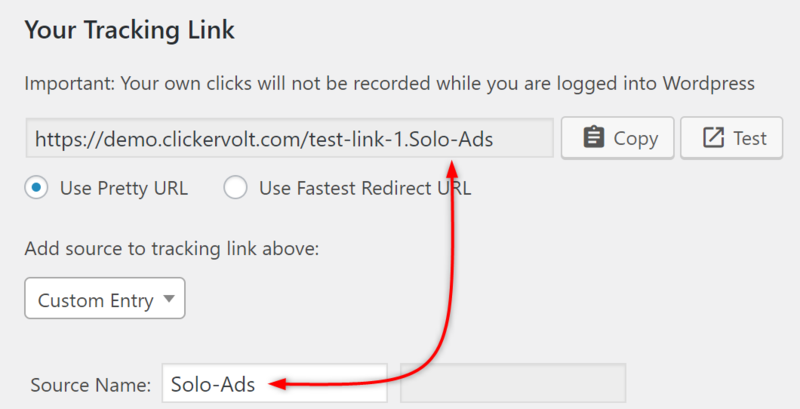 As a URL query parameter (&src=Solo-Ads) if you are using the Fastest Redirect URL mode. 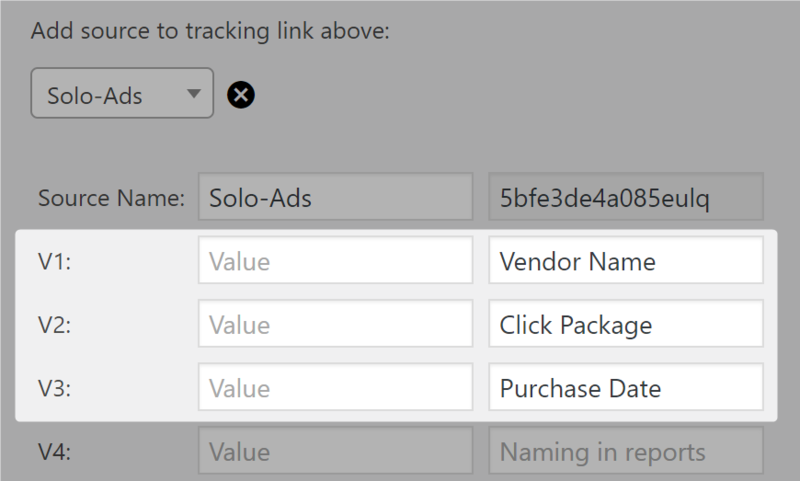 You can create new sources dynamically, without having to save them in ClickerVolt, when you give your tracking links to others. This is very convenient and makes it easy to then see in your reports where your traffic is coming from. We will discuss reporting in another tutorial. If you plan to use a source multiple times, you can save it as a template so you don't have to write it again and again. Note that when a source is saved, the name is replaced by its unique id in your tracking URL. If you then edit your source name in the editor, your already existing links will still attribute the traffic to the right source since its id will remain the same. To hide the source name from public eyes - which may be a good idea if you do not want spying affiliates to find out where you are getting your traffic from. Adding the source name to your tracking links is a good start to know where your traffic comes from. However, within one single traffic source, you may want to track different segments. To be able to record and report this, ClickerVolt needs you to tell it that you want to track this data. and v3 the purchase date. You will have to replace these values (the text after the equal "=" character), either directly in the URL ClickerVolt gives you, or by setting the values in the source editor. 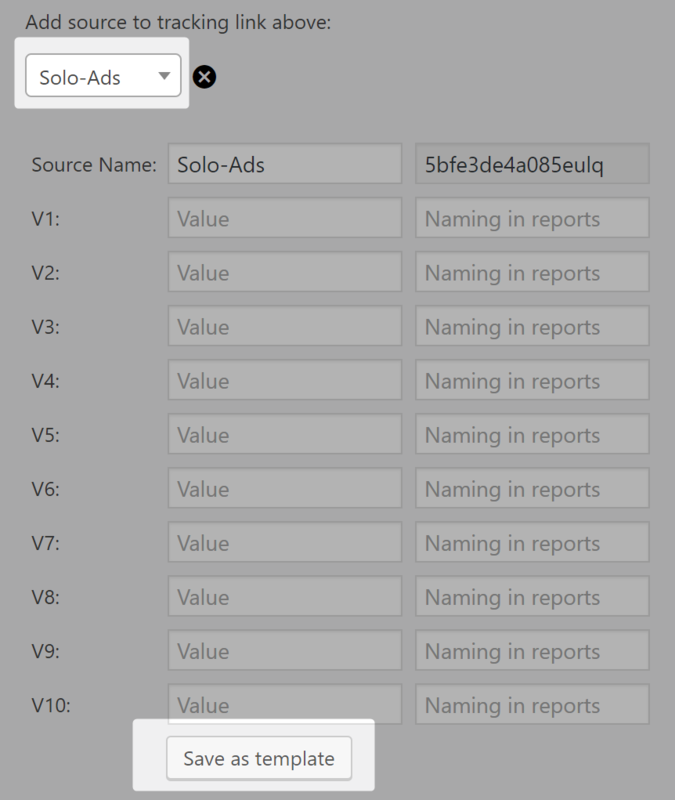 Imagine we want to buy a solo ad from John Doe. We will buy 100 clicks the 28th of November 2018. I can give this link to John, and all the traffic coming from this solo ad will be properly tracked by ClickerVolt. ClickerVolt's AIDA reports will then show exactly which vendor is sending me the best traffic so I can buy more from him in the future.